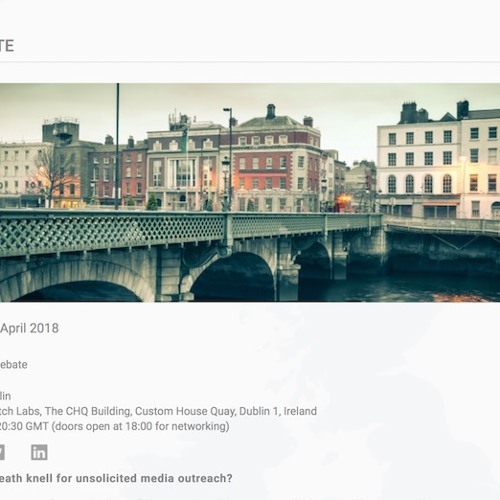 Ronan talks to Paul Hayes and Maria Diviney from Beachhut PR about the EACD event GDPR - The death knell for unsolicited media outreach? which takes place this Thursday evening the 19th of April in Dogpatch Labs. Paul is the founder of Beachhut PR, and the EACD Regional Coordinator for Ireland, and will moderate the discussion. Paul and Maria talk about the event including what attendees can expect and what GDPR will mean for companies that send's unsolicited emails to journalists.